free way to sell your property? or sell your property - today! Submit your information for a FREE no obligation property analysis. We will contact you within 24 hours to discuss the details of your property. We inspect the property and provide you with a written offer to purchase your property. Sign the offer and tell us when you want to close. We will schedule a closing date around your schedule. Submit your information and property requirements. We will contact you within 24 hours with a list of available properties. Let us know if have financing or if you want to take advantage of our owner financing* options. 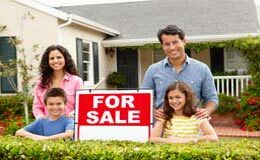 Odyssey Acquisitions offers professional solutions for a fast, hassle free way to sell your property. What makes our approach unique is that we do what others don’t – take the time to analyze your specific situation and find a solution that works for you. We provide a written offer based upon your needs and goals for selling your property. 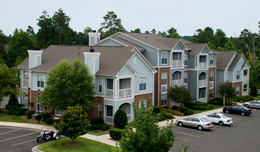 Our offer is designed to help solve your specific real estate issue while getting you the most money for your property. We will provide you with a written offer and a quick closing date. Once the offer is accepted, we will work to provide a “Hassel Free” close on the property. Our company specializes in providing Owner Financing* for our investment properties. This means that we can help you purchase one of our properties when others won’t. At Odyssey Acquisition, we are constantly acquiring a wide variety of properties in locations all over the United States. Check out some of the properties that are currently available. *Restrictions apply. Contact Odyssey Acquisitions, Inc., for details.